I don’t know why but pulling this post together got that silly song from Friends in my head. I love Joey. So the theme this week was morning and I tell you what, it’s hard to remember to take pictures in the morning, when you’re busy getting ready for work and what not. 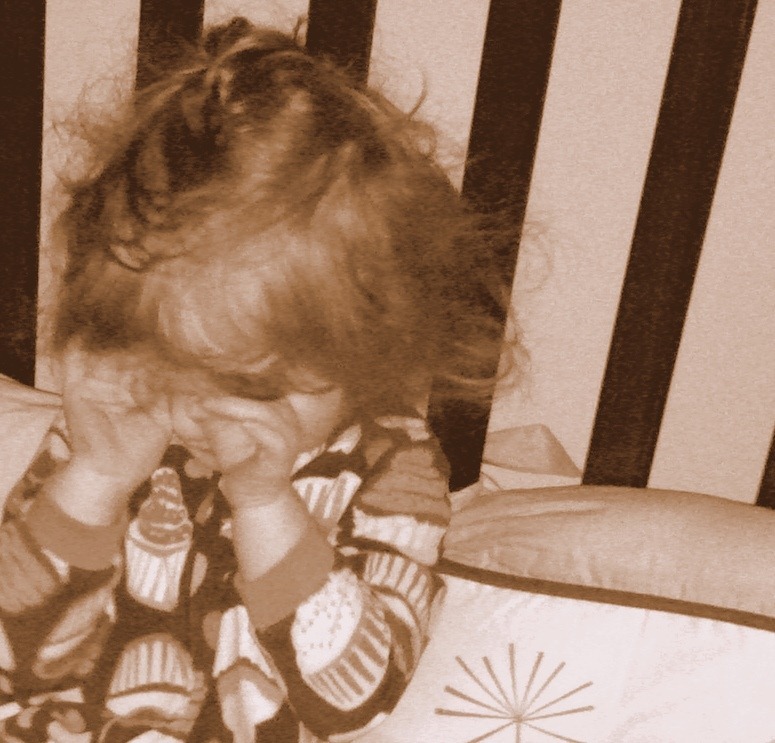 But I managed to snag a few pics that pretty accurately depict the basics of my daily morning routine. The first thing I do every morning is go to the gym. 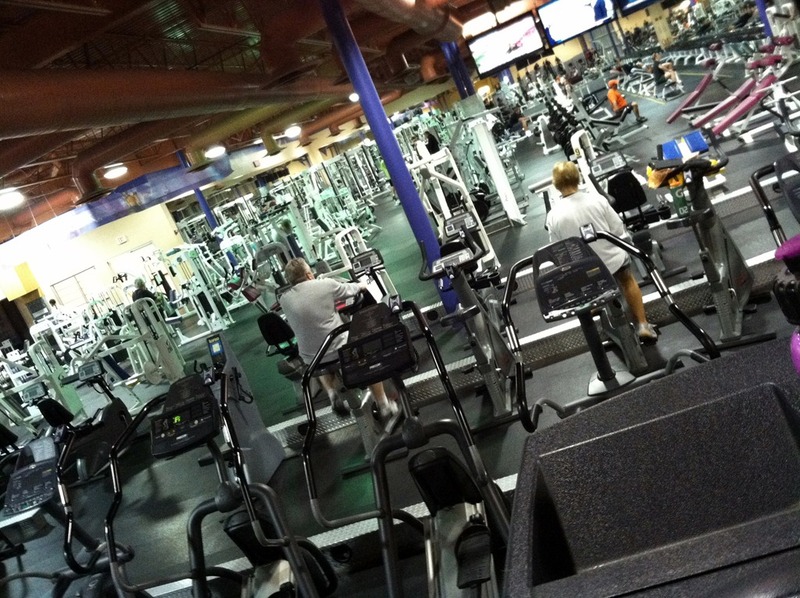 This is what the gym looks like in the 5:00 hour. Not too busy. Although, you’d be surprised at how many early morning gym rats there are. I like working out in the a.m. because I can get it over with AND I don’t have to fight for equipment. One day last week I went after work and good gravy was it crowded. Every single treadmill was taken! I hate that. So, I go early and avoid the rush! By the way, that picture makes me feel like I’m falling over or dizzy. Not sure that’s a good thing. I was trying to change things up by shooting from a different angle but instead it makes me feel drunk. When I get home from the gym, I make one of these for breakfast. 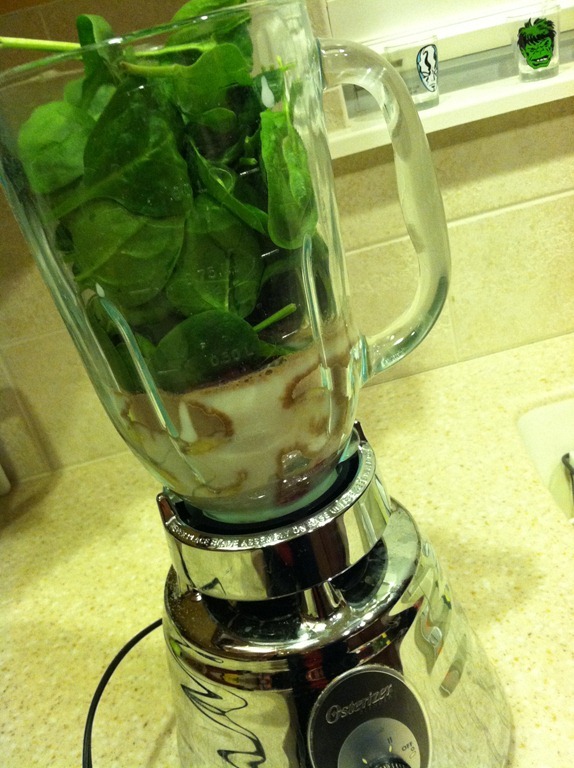 It’s a green monster spinach smoothie. Yes it looks gross. 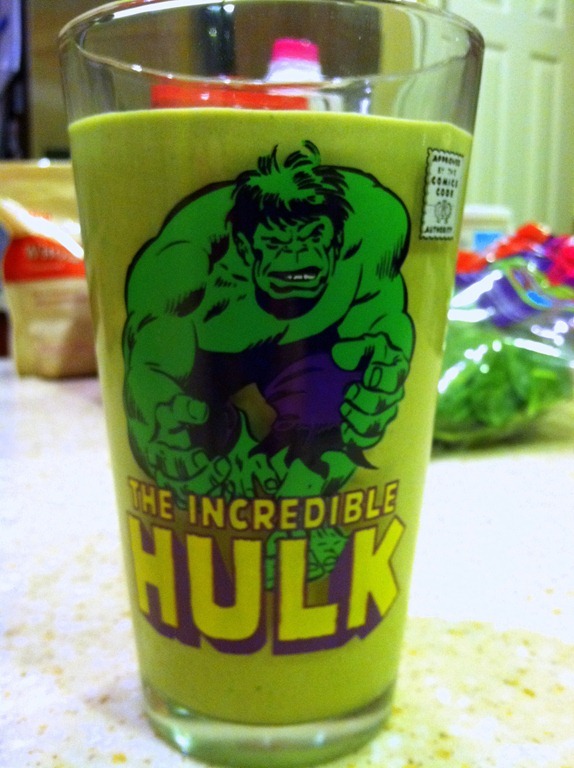 No you don’t have to drink it out of an Incredible Hulk glass (by I am silly like that). It’s like the perfect breakfast. You basically mix some kind of fruit (banana, berry, oranges, whatever you feel like), a protein (peanut butter or protein powder), oatmeal (for staying power), yogurt, milk (white, chocolate, soy, almond – whatever you fancy) and lots of spinach. Then mix it all up. You can’t taste the spinach. All you taste is the fruit and protein mixture. They are really good, super healthy and believe it or not, it actually keeps me satisfied until my morning snack! Great way to start the day! 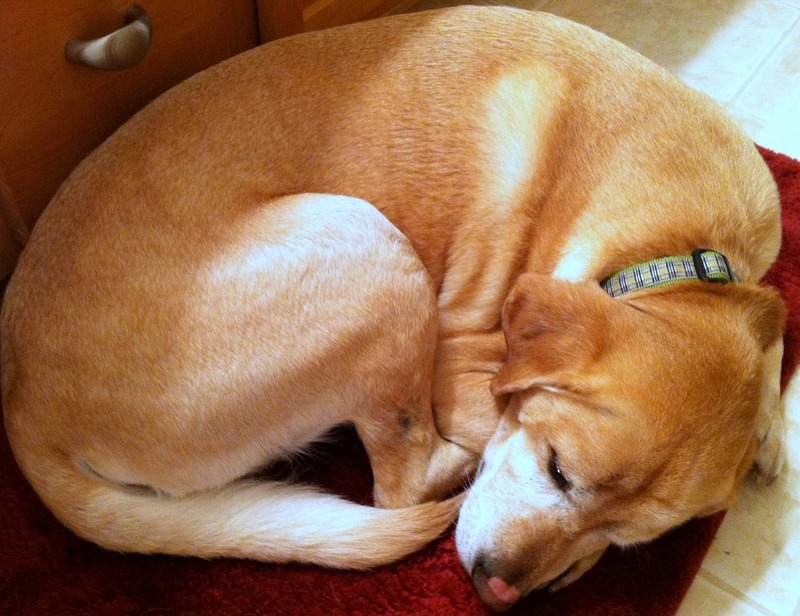 Then it’s time to shower and get ready for work – with my trusty canine companion by my side! He generally sleeps through the whole thing. That is when he’s not stealing treats from the counter. Then it’s time to head out the door to work. If I’m lucky, Isabella will wake up before I leave and I can kiss her good-bye. Today she was just waking up as I was heading downstairs so I popped in for a quick kiss and “I love you”. Ah. This face gets me through the day. I always feel like there’s something missing if I don’t get to see her in the morning. So have you seen the moon lately? It’s been huge and bright and beautiful! I tried to capture a pic of it early in the morning when it was still dark out but haven’t been able to get it just right. So today I snagged this one on the drive in (I was at a red light, don’t worry – no photographing and driving!). My intent was to focus on the moon but I love how the rest of it turned out, with the colorful sky up top and warm earthiness at the bottom. So that’s my typical morning! Like Samson, I’m big on routine. If anything gets too much out of sync, it throws me off. Like the other day when I spent time taking the pics of my smoothie and therefore forgot to take my wallet out of the gym bag. I got all the way to work before I realized I had left it at home with my stinky tennis shoes. CJ was my knight in shining armor and brought it to me. Thank goodness for fearless husbands! 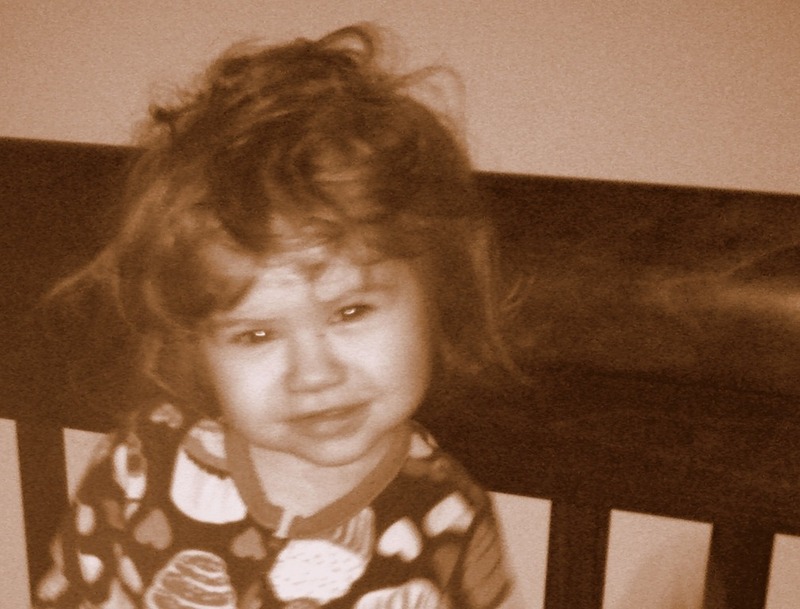 Don’t forget to head over and check out more “morning” pics at Beth’s! That last shot is divine. I love it! And your little sleepy sweetie is so cute. The smoothy actually looks pretty good! I like the gym shot at a weird angle. Also, your sky is fabulous! Aw what a cute little bed head 🙂 And love the way that last picture turned out. How cool!